I got this infographic about Skin Aging from Colorescience. It was sent over in an email. I posted it to our facebook accounts and it started getting some shares. I think that’s an indication that skin aging is a pretty populr topic. Skin Aging Explained and what to do about it. Click to enlarge. 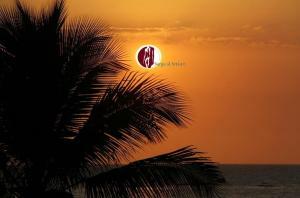 Sun Damage – more than 90% of age-related skin changes are caused by the sun. Use sunscreen – in particular it says, use their product called Sunforgettable. And we carry that product at Surgical Artistry, Modesto. Dehydration – use hyaluronic acid. We have many products with hyaluronic acid made by Obagi and SkinCeuticals. Acne Treament – spot treatments dry out the skin. Use products for the whole face. Food – sugars, sweets and saturated fats increase the likelihood of a wrinkled appearance. Solution: avoid processed food, eat plenty of fresh fruits and veggies. Sleep: Getting insufficient sleep ages the skin prematurely and fosters eye area puffiness. Solution: ban bright electronics at least 90 minutes before bed to improve quality of sleep. It is a powdered mineral sunscreen with Zinc and Titanium dispensed with a brush, and it comes in 3 different skin tints. What? No mention of BOTOX wrinkle prevention? BOTOX, to me is one of the most effective treatments to receive to help prevent wrinkles. It has received FDA approval for the Glabella area and Crows Feet areas. Botox has also received approval for cosmetic use in wrinkle prevention in other areas of the face. I guess BOTOX wasn’t mentioned in this article because Colorescience isn’t the manufacturer of Botox. Otherwise, of course they would have included Botox in this discussion of skin aging. And Smoking? even more important than BOTOX or Sunscreen. It’s tops on my list to quit smoking – as a top thing to do to slow down skin aging. My top three for Anti-Aging skin? Slowing down the aging skin is a passion of ours at our Modesto Botox Practice: Surgical Artistry. I didn’t write this infographic. 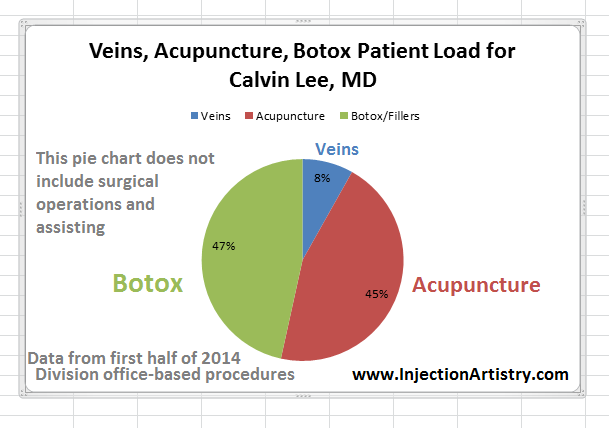 Please visit us: Modesto Botox, Plastic Surgery, Veins, and Acupuncture. Please verify all ideas presented here with your doctor. I am not your doctor unless you have seen me in person. 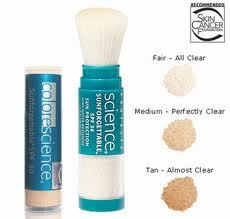 We carry Colorescience skin care products in addition to NIA 24, Obagi, and SkinCeuticals. Some may call minimally invasive as “non-surgical.” But to me these procedures are surgical. Juvederm VOLUMA dermal filler injections for cheeks. Juvederm Ultra Plus XC, Juvederm Ultra XC, Juvederm Ultra plus (without XC), Juvederm Ultra (without XC). Derma Pen – skin tightening procedure. Also good for acne scars. Acupuncture for various conditions such as back pain, headaches, stress reduction, fertility, hormonal balance, allergies, etc. In addition to these procedures I also perform surgical assisting for plastic surgery, and for Spinal Cord Stimulator Implants and Morphine Pump implantations – both for chronic pain. Yes, this is a Botox Blog. And Yes, this is connected to my Modesto Botox Home Page. I just wanted to make a brief mention of the other cosmetic procedures I perform. I recently (probably for frequently than I know) had a patient who didn’t know that I performed a particular procedure. And it seemed like she would have liked to know that I was available for that procedure – which was Voluma Injections. Yes, I do Voluma injections. In the office, I mainly concentrate on procedures which are done with a needle. One can call these minimally invasive cosmetic procedures. And from time to time, I wander off to the operating room to perform, guess what? Some surgeries! But most of those surgeries are surgery assists. 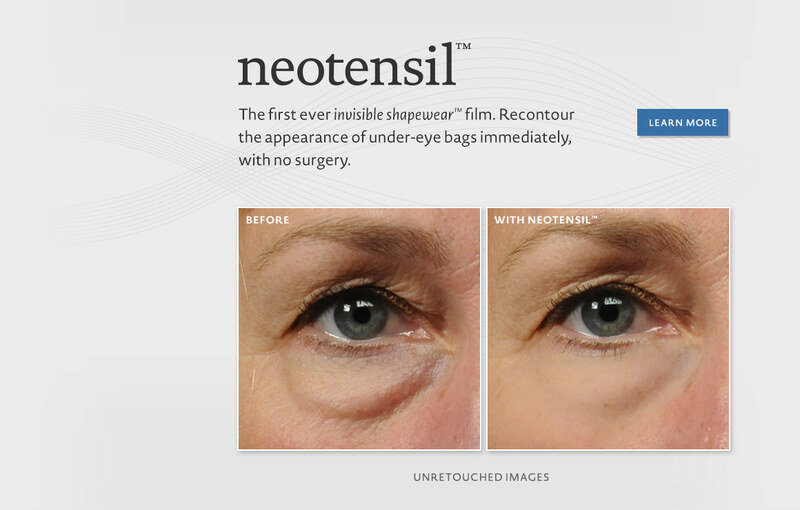 Botox for Crows feet now has a companion: Neotensil for under the eyes! In addition to Botox around the side of the eyes, we now have Neotensil for under the eyes. Neotensil is a liquid film which tighten under the eyes. Do we have anything nonsurgical that helps under the eyes? Why yes we do, I’m glad you asked. We have a revolutionary new product called Neotensil. Neotensil is great because it is a daily invisible film which shapes and tightens the bags and wrinkles under the eyes. It is the only non-invasive, at-home procedure that reduces the appearance of under eye puffiness and wrinkles. We saw the results for ourselves, and it’s really impressive. It’s a great option for patients who are not interested in surgery, but would like eyes that look younger and refreshed. Neotensil is exclusive to Obagi and doctor’s offices. It’s only sold by physicians, so you will not find this product at Sephora or Ulta. Finally, there is a non-surgical solution for the unwanted baggy eyes. We are excited to be able to offer it to our patients. How do you use it? The application process takes about 5 min. It’s an easy two-step topical application that you can use every day or for special occasions. You put the products on and it starts tightening after about ten minutes, and it keeps tightening for the first few hours. So, if you have an upcoming important event, and you’re worried about under eye puffiness, Neotensil will make you look even better in the matter of an hour! It feels like liquid “Spanx” for your eyes. The results last 16 hours and you just take it off with your makeup at the end of the day. What does it do? It is made with technology developed at MIT and Harvard. They call it “shape-wear” – which lifts, smoothes, and tightens. It not only helps reduce under eye puffiness, but it helps tighten the appearance of loose, sagging skin, reduces the appearance of wrinkles. It also moisturizes up to 2x better than the leading over-the-counter cream, improving hydration. While you have it on, it hydrates your under eyes and can help improve the hydration of your eyes over time. How many applications come in the kit? The kit comes with 50 applications, so it will last you about four months if you use it 3-4 times a week and almost two months if you use it every day. When used once a week for special occasions, it could last a year. The kit is $500 + tax. When your eyes look good, it really brightens your whole face. Can you wear your own concealer or make up over it? Unfortunately not, customers are discouraged from wearing make-up under the eyes before or after the application. Neotensil will improve the appearance of your under eyes but you cannot use your own makeup over it. The Neotensil concealer has not been released, but check back with us. How does it compare to Plastic Surgical Eyelid Surgery (blepharoplasty)? Neotensil will not replace lower lid surgery, but rather is a therapy for those who are not ready for surgery or for some reason are not surgical candidates. Feel free to visit our Modesto Botox Home Page (www.InjectionArtistry.com). On that page we have our contact information, please call us for more info!